Welcome week has ended, what is probably one of the craziest times in the life of an orientation leader is over. As I think and reflect on everything that happened in the past few weeks, I am amazed, I am in awe and unable to fully process God’s graciousness and goodness to me. Three years ago, I came to Belhaven University, a scared freshman. An international student from Mexico who was far too scared to talk, far to closed to open up, far too insecure to be approachable, and too homesick to call Belhaven home. The entirety of my freshman year consisted of me feeling insecure and out of place almost everywhere I went, because I looked different, because I had a funny accent, because I just could not fit in. I felt lonely and craved to belong. I craved for family, for people I could call home. Leaving Belhaven just because I didn’t “fit in” didn’t seem like an option, I was a hundred percent secure that this was the place where God had called me to go, but something had to change. I couldn’t wait for things around me to change so the change had to happen within me. I had to get out of my comfort zone, so I applied to be a part of the orientation staff, I applied to be a Peer Leader. After a nerve wracking application process, I was offered a spot in the Peer Leading team, somehow I was selected, and the journey began. 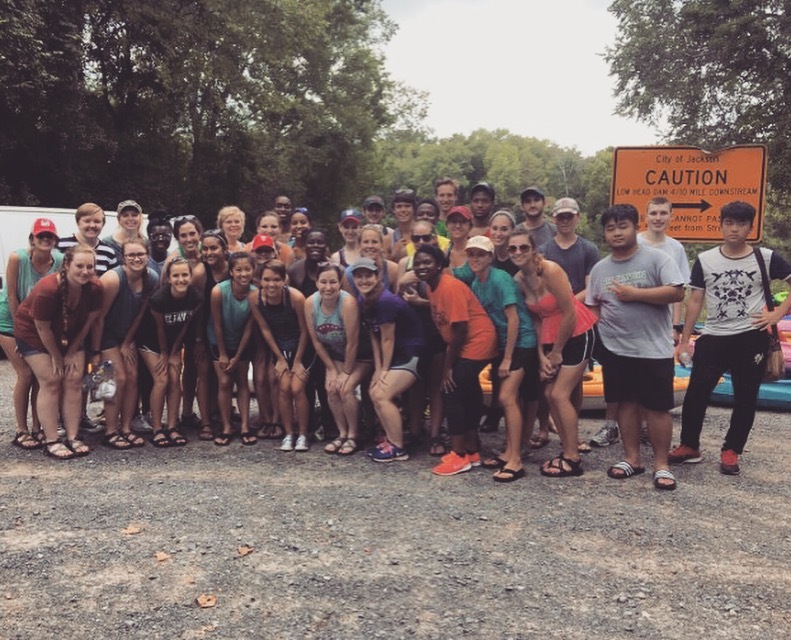 Coming back to Belhaven, as a sophomore and a peer leader changed everything for me. Even before peer leading training began, I was embraced, when members of the Belhaven Leadership Council (BLC) drove from Jackson all the way to New Orleans to “save” this random girl they have never met, me, who was stuck in New Orleans for the night with nowhere to go and no one to ask for help. That action meant to me more than words can express, it was God’s promise to me that He would always be with me, that He would always take care of me, that He would give me family, that I would never be alone. My first year of peer leading happened, it was a pivotal event in my college experience and it changed me. I became a different person, I knew people now, I felt loved, I felt part of something, I felt that as small and insignificant as I am, I could make a difference. My approach towards college, and life in general, changed. I started a process of slowly getting involved, slowly getting out of my shell and blooming into a new person. Which led to applying for BLC. Because of God’s grace, I was offered to serve in BLC as the Ministry coordinator during my junior year, and with that came the opportunity to be a peer leader for the second time. Junior year was so special, peer leading and BLC stretched me and helped me grow and mature, as a person, a Christian, and a leader. Before peer leading and BLC, I never thought of myself as a leader, but I learned that leaders don’t look one way. The Lord can and will use anybody who is willing to be used, no matter how introverted or outgoing you are, no matter your race, ethnicity or nationality, God can and will always be glorified. Through BLC the Lord grew me, taught me to trust more in him, and gave me the family I had craved. By the end of my junior year, I was convinced that I wanted to serve in BLC during my senior year. Crazy things happen and I am still amazed and somewhat unsure of how this happened, but somehow I was offered to be president of the Belhaven Leadership Council, and a peer leader once more! The president title seemed too official, too intimidating, too scary, yet so exciting and I took on the challenge. I am overwhelmed by the goodness and grace that God has shown to me through the years, and through the past few weeks as a senior and president of BLC. Applying for peer leading was the decision that led me to this journey. I am beyond thankful for all the people that have been a part of this journey and I really have no words to express how much peer leaders and BLC mean to me and how much I believe in the power of God to produce change through them. I am expectant to see how the Lord will keep using Belhaven and student leadership to grow people and change lives. I am inadequate, but the Lord’s calling is greater, He is greater and He will use my inadequacy to be glorified. For he is my rock, my shelter, my strength and my comfort. Dr. Don Hubele, Professor and Chair of the English Department at Belhaven University, was formally inducted into the university’s Legacy of Learning after serving students on campus for 20 years. 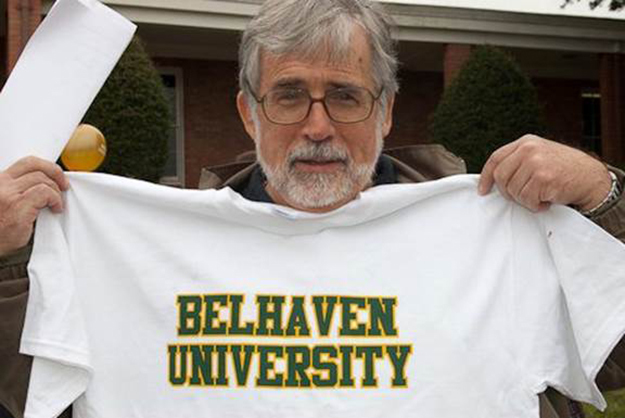 Much has changed at Belhaven over the beloved Dr. Hubele’s time here. 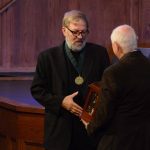 When he and his wife Donna first came to Belhaven in 1997, the student body was much smaller, the facilities were fewer and the theatre department lacked baritones for its musical, El Gayo. Dr. Hubele repeated a story that he has told from time to time about his first days. 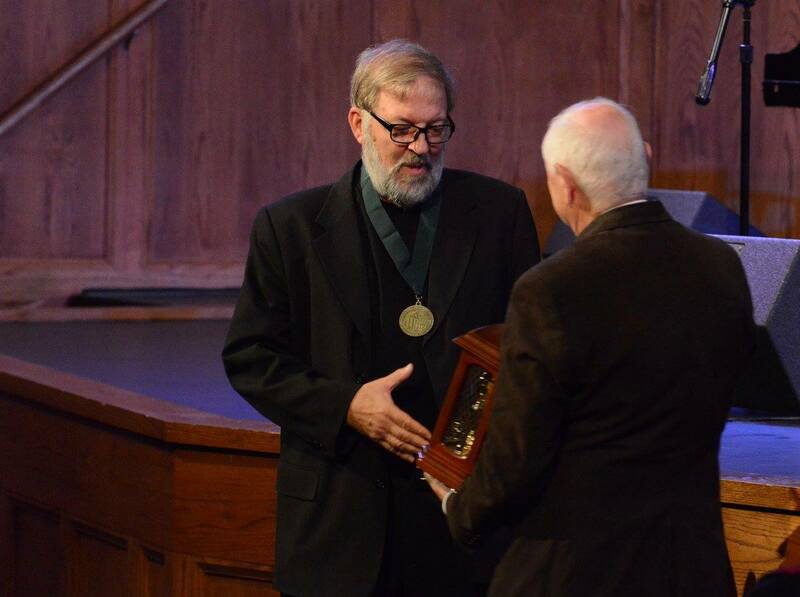 Dr. Hubele was instrumental in the writing, development and implementation of Belhaven’s Worldview curriculum. He served Belhaven as a student life dean, a coach and a faculty athletic representative, and directed a number of overseas trips to the Caribbean, Australia, Mexico and Central America. This fall, Dr. Hubele begins his 21st year teaching at Belhaven and his 40th year in Christian higher education. A new crop of scholars will join the thousands of students that have sat under his learning tree. Congratulations, Dr. Hubele on your 20 years at Belhaven and your induction into the Legacy of Learning. Ms. Bettye Quinn, Associate Professor of Education, has seen a lot in her time as a student and professor at Belhaven University. Ms. Quinn, who celebrates her 82nd birthday this week, will soon begin her 52nd year of teaching at her alma mater this fall. 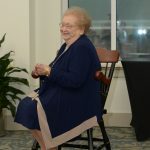 “I’ve been working at Belhaven for 52 years, working at the Children’s hospital for 62 years, been a member of my church for 72 years, and this week I’ll celebrate 82 years on earth,” said Quinn, who sat down with us for an interview recently. Ms. Quinn recalls her earliest memories of Belhaven came as a small child on campus to watch the Singing Christmas Tree, a tradition that turns 85 this Christmas. 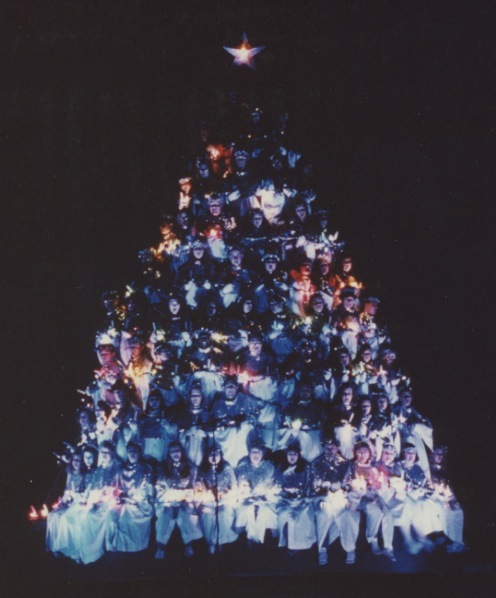 As a student and later faculty member, she participated in the Singing Christmas Tree. She routinely runs into her former students, many of which have gone on to careers as doctors, lawyers, judges, and of course teachers. Once, a chance run-in with a former student almost went awry. You’ll find “Ms. Bettye” at theatre and dance performances, concerts in the music department, athletic contests and just about anything that involves her students. We want to wish Ms. Quinn a Happy Birthday and a successful 52nd year of service to Belhaven University. Intramural Sports, Laser Tag, Kayaking and Tubing trips and the first annual Highland Games highlight the spring semester student activities schedule at Belhaven University. The full activities schedule is available on the Campus Life website. Campus Recreation will host a Video Game Night on Thursday, January 19 to kick off the semester, and students are invited to serve the Jackson community in honor of Dr. Martin Luther King on Saturday, January 21. Another highlight of the January schedule is a High Heaven Night on January 26. Students will take over the nearby High Heaven Trampoline Park for a night of extreme air sports. Local churches and community organizations will gather in the Billy Kim International Center on January 29 for a Worship Night and Community Connections. A leadership fair is scheduled for February 1, giving students the opportunity to explore opportunities to serve on campus and beyond. Campus Recreation will be busy throughout the semester, with intramural soccer, badminton, pickleball, basketball and flag football on the slate. Yoga, Pilates, Zumba and an 80s-style workout is also on the schedule. Campus Rec will also host a Super Bowl Watch Party on February 5 in the Belhaven Bowl on the 30-foot high definition video board. New to this year’s activities is the first annual Highland Games on March 22-23. This is a chance for students to get in touch with the school’s Scottish Highland heritage by competing in traditional and not-so-traditional games, food, music, and fun. Off-campus activities also dot the schedule, beginning with a Smith Robertson Museum trip on February 11 and Horseback Riding on February 18. On March 4, students can take part in the Trailblazer Hike at Red Bluff Canyon. 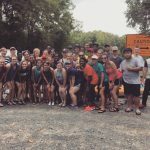 Kayak the Pearl River on April 1 and Tube down the Bogue Chitto River on April 29. The highly anticipated Spring Formal is scheduled for April 7 at Duling Hall. On April 20, one of the most requested events takes place with Movie Night in the Bowl. 2016 was a great year at Belhaven University. We celebrated record enrollment, numerous awards, and our students received great recognition. Over the past two weeks, we have counted down our top social media stories of the year – the most liked, shared and commented stories – on our official Facebook page. 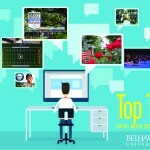 For the fourth consecutive year, Belhaven was named to U.S. News and World Report’s list of Top Regional Universities. Additionally, the publication named Belhaven to its “Best Value” list. The $4 million Belhaven Bowl Stadium opened at the heart of campus. The Dr. Billy Kim International Center was opened, highlighting Belhaven’s commitment to international studies and its relationship with South Korea. Belhaven’s campus was named among the top 25 Most Beautiful Christian College campuses in the South. Belhaven was one of just 31 colleges represented at the National Collegiate Dance Festival in Washington, D.C. The Belhaven softball team made a postseason run to the national championship game at the NCCAA World Series. The Nursing program at Belhaven achieved national accreditation and was named one of the nation’s Top 25 values for online nursing degrees. Coach Hal Mumme’s Blazer football squad opened the season with an exciting 28-25 win over Millsaps in the Riverside Rumble. Belhaven announced and started a degree in Film Production, which quickly became one of the most popular majors on campus. The university was once again honored as being Military Friendly. 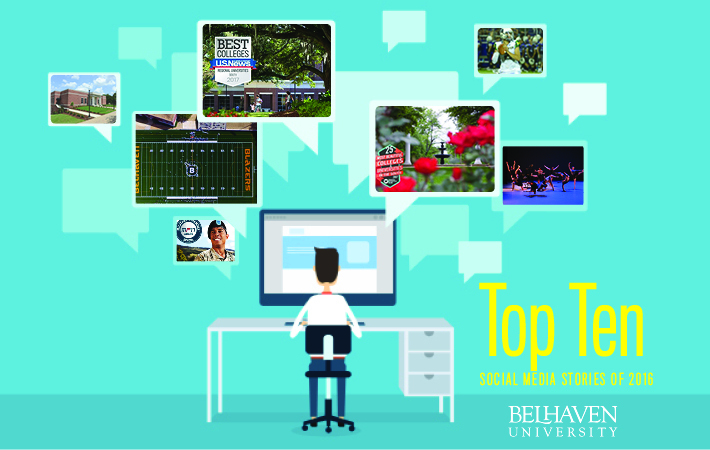 To keep up with what is happening on campus in 2017, make sure to follow Belhaven on our other social media channels, including Facebook, Twitter, Instagram, Linkedin , YouTube and Pinterest. 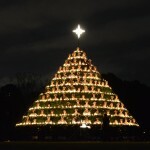 The 84th edition of the Belhaven University Singing Christmas Tree is scheduled for December 2-3 at 7:30 p.m. in the newly completed Belhaven Bowl Stadium. 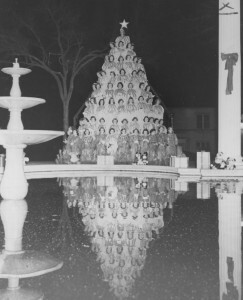 The event, which is billed as the nation’s oldest outdoor singing Christmas tree, has been a staple on campus since 1932. Thousands of students have participated over the years, and this year, they are being invited back to relive the joy of singing on the tree! The brand new Belhaven Bowl Stadium gives the University an opportunity to expand the number of voices heard during the singing Christmas tree. Seats around the tree can comfortably accommodate up to 250 alumni singers. 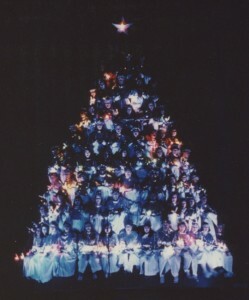 The Belhaven Singing Christmas Tree began in 1932. Interested alumni can participate by simply completing this form and let us know which of the following rehearsal times you can attend. Thousands of students have sang on the tree over the years. 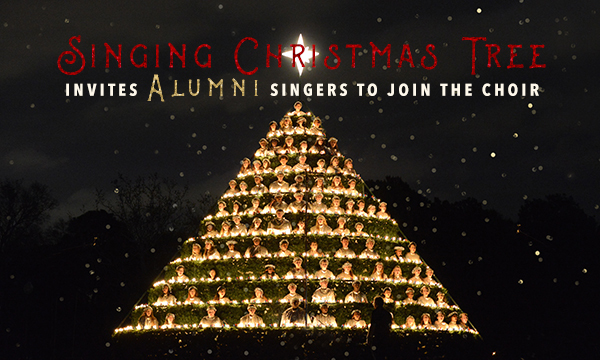 Alumni will sing a select number of songs during the concert, and only one rehearsal is required to take part in the singing Christmas tree again. Don’t forget to sign-up for the alumni reception at 6:00 p.m. in the Dr. Billy Kim International Center foyer before each performance. If you need additional information, contact Mr. Christopher Phillips at singingchristmastree@belhaven.edu or 601-974-6497. Graduation is oftentimes one of the biggest days of a person’s life. Years of sacrifice and studying culminate in the moment that the diploma is received. But what if that milestone were combined with another big life moment? Maybe a wedding? That’s exactly what happened to recent Belhaven graduate Danielle Lewis. 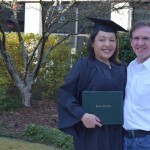 Immediately following her commencement ceremony, where she received a Bachelor of Health Administration from Belhaven. Diploma in hand, she married the love of her life, Joseph. Danielle’s journey to Belhaven was unexpected. A 44-year old mother, she worked as a registered nurse in intensive care units and emergency room until 2011, where an injury forced her to leave a career that she loved. Through all of the treatments and pain, Danielle still felt that she had more to give. Being bound to a wheelchair made it impossible to return to her old job, so she began to pray about going back to school. Her faith led her to seek a Christian university, and she enrolled in the BHA program through Belhaven’s online program. Her time as a student was also spent having surgeries and receiving physical therapy. 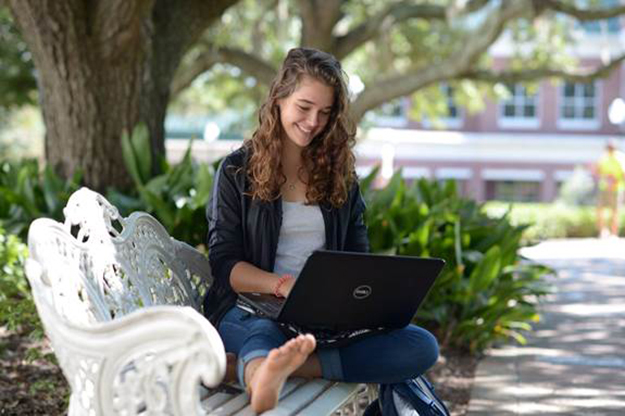 Belhaven’s flexible online program allowed her to not fall behind. In April of 2015, Danielle began intensive physical therapy to help her walk again. Within a year, she participated in her first 5k race, and of course, finished her degree and got married. 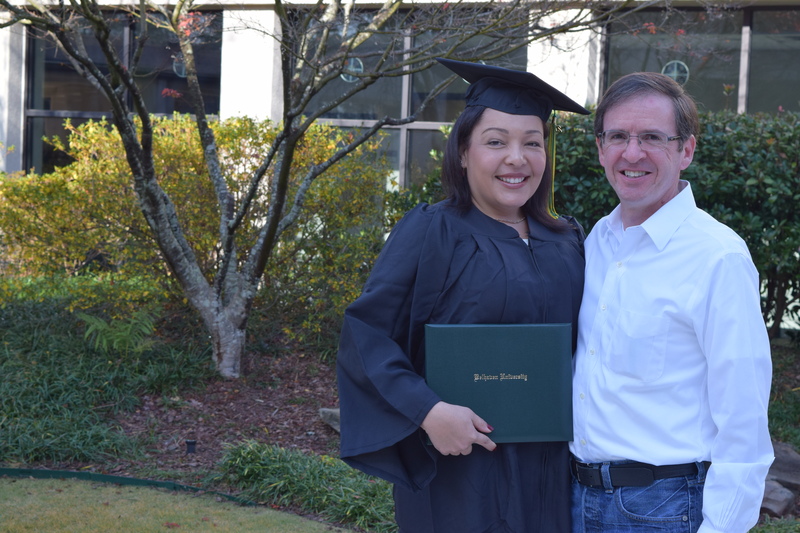 Her and her fiancée chose to be married at the Atlanta campus graduation by a Belhaven staff member. Shortly after the big day, Danielle updated her Linkedin profile to reflect her graduate status. Within a few days, she received a call from one of the largest internal medicine groups in North Carolina, where she now works as the practice manager. She has also enrolled in the Master of Health Administration program through Belhaven Online. Belhaven University is known for its Christian Worldview curriculum, where all classes are taught through the lens of scripture. Whether it is the art of the Renaissance era or the history of the nation, students gather a deeper understanding of God’s word through their academic pursuits. 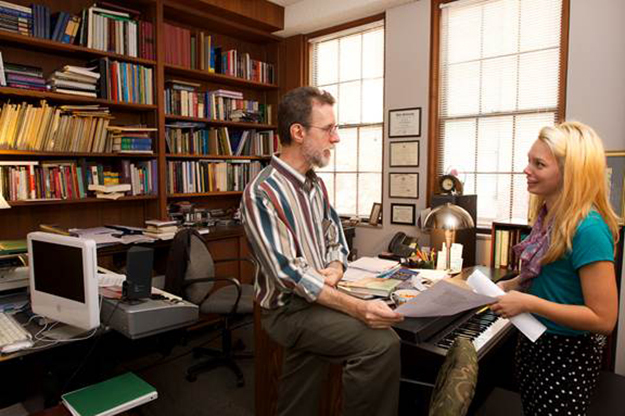 One of the biggest benefits of attending a small university is the impact of the faculty. At Belhaven, faculty and staff go above and beyond in serving the student, whether its extra help in the classroom, or hosting Thanksgiving dinner for students who cannot travel home for the holidays. 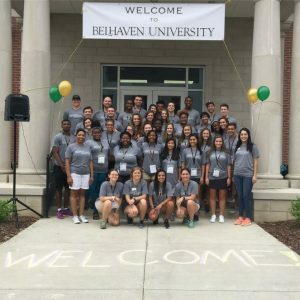 Belhaven alumni go on to become leaders in their community. Leaders in business, athletics, and politics are proud to call Belhaven their alma mater. In fact, one of the world’s leading technology companies, Bomgar, was founded by students at Belhaven. As just one of 36 colleges or universities in the nation accredited in all four of the major arts, Belhaven is known for its vibrant arts community. 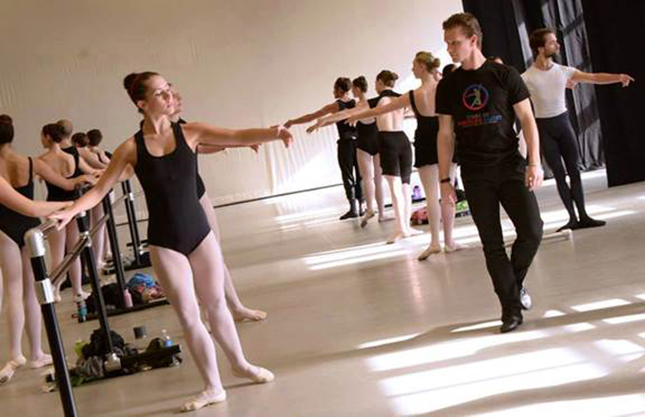 Dancers and visual artists roam the halls of the Bitsy Irby Studio while musicians and thespians call the Center for the Arts home. On Fridays, we wear green. But on Thursday, we eat chicken. 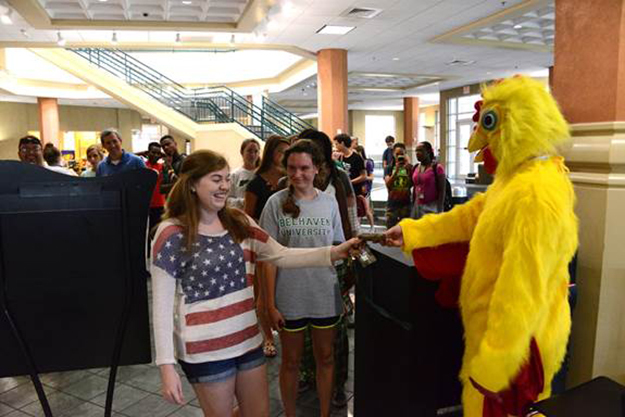 Fried chicken Thursdays are so popular at Belhaven that you are likely to see members of the community in the Dining Commons. Add in the famous Blazer rolls and Thursdays are definitely a day to look forward to. Belhaven’s 42-acre campus is definitely beautiful. Belhaven Lake is a great place to hang out and view nature, but there is no better place to study outdoors than Gillespie Commons. 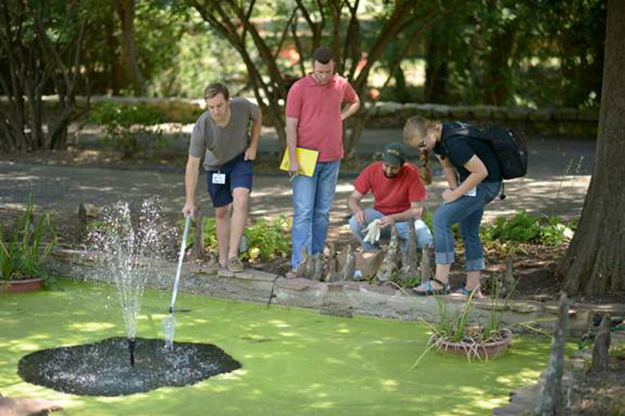 With the calming sound of the fountain in the background, this area at the center of campus sometimes hosts full classes during the gorgeous weather of the Mississippi spring. Blazer athletics are a staple of campus. The 15 intercollegiate sports compete at the NCAA Division III level as a member of the American Southwest Conference. 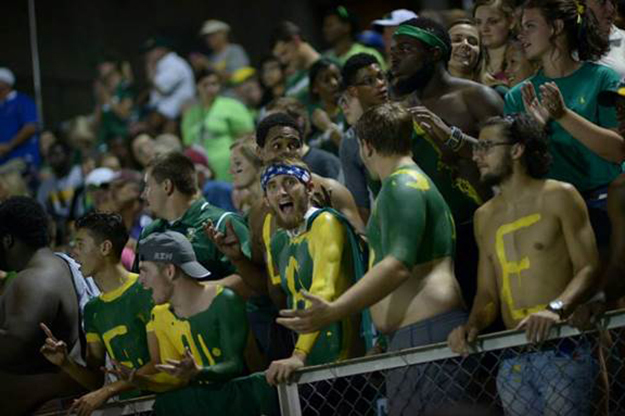 Men’s soccer and tennis boast national championships, and coach Hal Mumme’s football squad has received national recognition as it builds momentum. 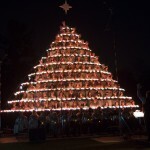 One of the premier events in the Southeast, Belhaven’s Singing Christmas Tree is the oldest in the nation. Since its beginning in 1938, thousands of students have taken part in this event that delivers the joy of Christmas to the Jackson community. 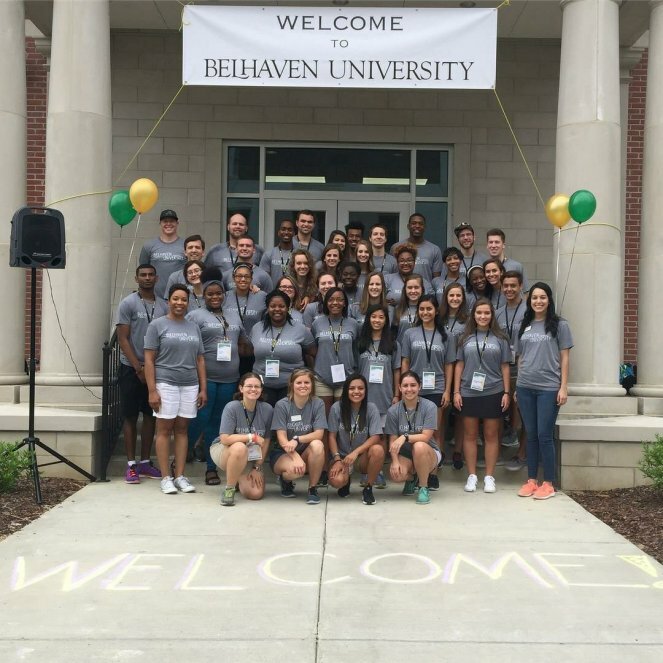 From your first day at Belhaven, you feel like family. New students are introduced to each other through Welcome Week activities, and continue to foster friendships via student activities throughout the year. One of the most beloved faculty members in Belhaven’s history, the late Wynn Kenyon is revered amongst alumni who knew him. His trademark laugh (HA!) was remembered by the Blazer football team with a special helmet sticker after his passing. Family Weekend Set for This Friday-Sunday at Belhaven! 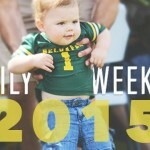 Belhaven University is excited to be hosting its annual Family Weekend this weekend on campus. Parents and siblings are encouraged to register online for a weekend filled with faith, food and fun. Family Weekend coincides with Belhaven’s Fall Discover Day, which takes place on Friday, September 25. Siblings and family members interested in attending Belhaven can get a first hand look at college life. Those interested in attending Discover Day should contact the Admission office or register for Discovery Day separately. The campus will be in full swing on Friday, with lunch available in the Dining Commons. 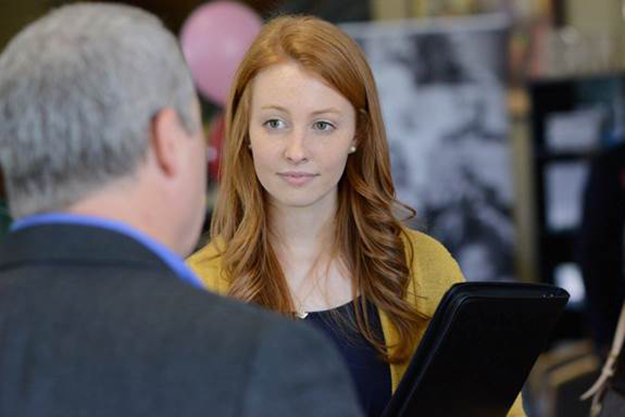 The Wynn Kenyon Think Center will host an open house from 1:00-5 :00pm, including a faculty panel – “Keys to Academic Success,” beginning at 3:30 pm. At 5:30, families are invited to a catfish dinner in the Dining Commons, and at 8:00 pm, students and families are invited to Rec the Night! Belhaven Activities and Intramurals hosts a popular event that includes laser tag, dodge ball, and more in the Lower Practice Field. 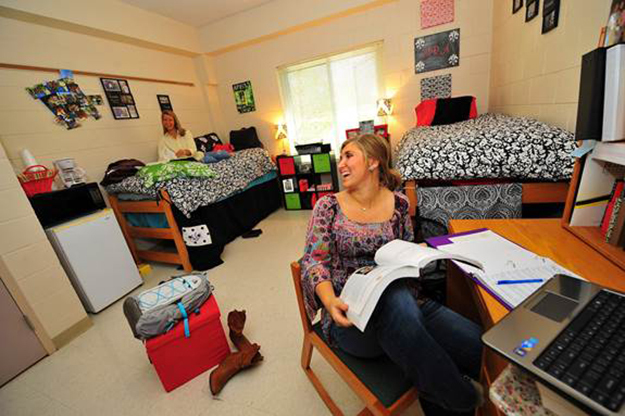 Siblings of the same gender are invited to stay overnight in residence halls with their brother or sister. We know that they have missed each other! Dr. Roger Parrott, President of the University will host a campus update in the Student Center beginning at 10:00 am on Saturday. At 11:30, head on over to Newell Field for tailgating prior to the Blazers’ 1:00 game with Alabama’s Huntington University. There will be a drawing for a family and their student to serve as honorary captains at the game. Families are encouraged to spend Saturday evening with their students, as well as attend Sunday morning worship services on their own. We look forward to seeing everyone on campus for this great weekend event!